This article about the Eid celebration published in the local newspaper, SCV Signal, in their Friday edition. On Friday morning more than 800 people gathered at Rancho Pico Junior High School for a special service of prayer and celebration marking the end of Ramadan, the Islamic month of fasting. The three mosques in the valley, Al Umma Center of Santa Clarita, Unity Center of Santa Clarita, and the Islamic Center of Santa Clarita, worked together to organize the event. “This event gives people a sense of community and strong family values, since the gathering is like a larger family,” said Majub El Arabi, 68, who is on the Board of Trustees for the Al Umma Center. 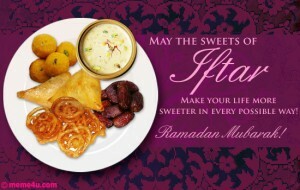 Ramadan is a mix of a religious and cultural event. It calls for followers of Islam to fast every day from sunrise to sunset. They are not allowed to eat or drink water. Muslims can break their fast every night after the sun has set. 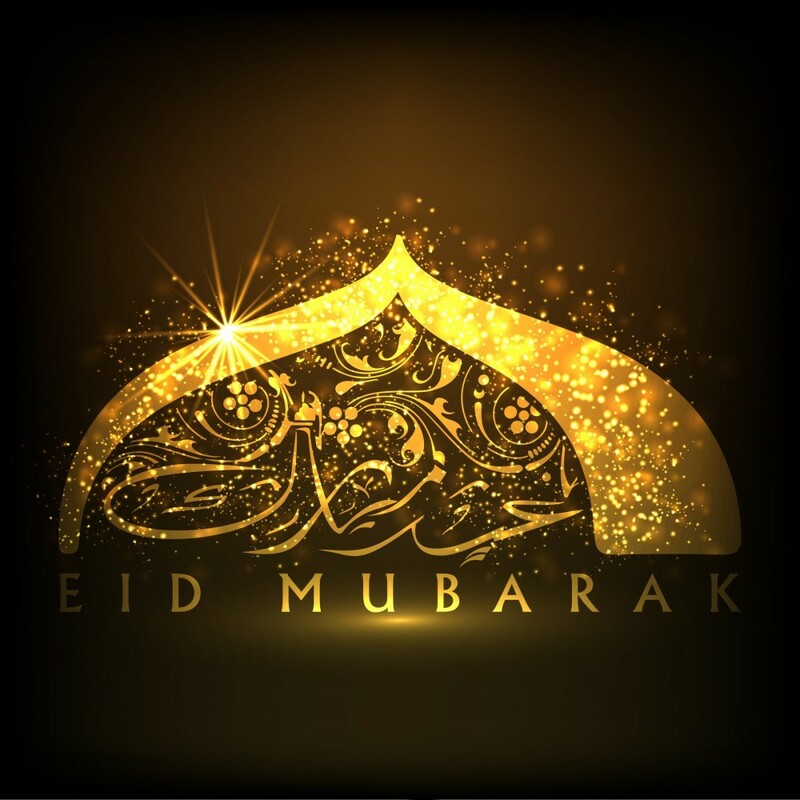 Friday’s celebration is known as the day of Eid. Ramadan began June 18, and Friday marked the completion of fasting with celebration and supplication to Allah, the Arabic word for God. This is the fourth year the three mosques have gathered for the Day of Eid. The morning started with chanting, followed by quite prayer where attendees prostrate on the ground. Later a message was delivered by a community leader. Finally, the event closed as each attendee greeted and congratulated other attendees for completing the month of fasting. El Arabi explained another requirement of Ramadan, besides fasting, is doing good deeds, being kind to others, abstaining from sexual activity and doing acts of charity. Participants explained this is also an important part of Ramadan, knowing the poor and homeless go without food and empathizing with them. Children, the elderly and those who are sick are not asked to fast because it may be too stressful for their bodies. Dr. Omaran Abdeem, 45, was this year’s Day of Eid speaker. Beforehand, he planned to focus his message on the importance of being kind to one another, connecting with family and fasting as an act of worship. Participants explained the first few days it is difficult to fast for 15 hours. By the end of Ramadan, many say the fasting has become habit and it has helped them to be focused and spiritually connected. Abdeem explained many people face difficulties in their lives which may seem insurmountable, but going through Ramadan helps to train people to face the challenges of life. “It gives me a great sense of spiritual uplifting, I become closer to God, the Qur’an and I become better at worship,” said Abdeem. Abdeen explained, done once a year, it is a way for Muslims to give their faith and dedication to God a “tune up.” In Islam, it is referred to as a “cleansing of the heart,” helping people to better focus on their faith for the rest of the year. Attendees of the three mosques were asked to invite neighbors to the Eid event. It is meant to be a true connection of community and outreach. Wishing You Happy Eid al-Fitr and Happy Holiday! Dr. Omaran Abdeen will lead the prayer and deliver the Khutba. The Islamic Center of Santa Clarita Valley is the sponsor and organizer of this Eid event, and Al-Umma Center and Unity Center are the guest Masajid. We request everyone to bring at least one prayer rug. We also request that the elderly and handicapped be given priority to park in the school parking lot, while everyone else is requested to park in West Ranch High School parking lot which is across the street. Zakat al-Fitr is mandatory for every muslim regardless of age or gender. It must be paid before Salat al-Eid, or else it will count as Sadaqa. We encourage everyone to pay as soon as possible to enable the Masjid to distribute it to the needy, preferably before Eid. We have set up a special box for this Zakat in the Masjid. We also need your help in identifying needy people in our local community. On behalf of everyone at Al-Umma Center of Santa Clarita Valley, we extend our warmest congratulations to the Santa Clarita Muslim Community in particular, and the Muslim Community worldwide in general, for the arrival of the Holy Month of Ramadan which will begin, Inshaallah, on Thursday, June 18th, 2015. We ask Allah (SWT) to enable all of us to increase our prayers and good deeds during this blessed month. Daily Iftar, which will, for the most part, be sponsored by community members. Anyone interested in sponsoring Iftar is encouraged to put his/her name on the sponsorship sign-up sheet currently posted in the Masjid, or call the Masjid’s phone number (661 347-8367) to find out which days are still available for sponsorship. In the event some nights end-up being without Iftar sponsors, we’ll have a potluck style Iftar. Khatm Al-Quraan will, Inshallah be on the 27th of Ramadan. The Masjid will be open every night for anyone who wants to do Tahajjud after Taraweeh Prayers. Inshaallah, the visiting Sheikhs will be conducting Quraan Tajweed classes, and the schedule of these classes will be announced soon. This Ramadan will be very special in light of the fact that the Masjid has experienced tremendous growth, since last Ramadan. Not only have we completed the first phase of construction and are in the middle of phase 2, the number of Brothers and Sisters who frequent the Masjid has been steadily increasing due in part to the many high quality educational programs for children and adults alike. We look forward to everyone joining us in this year’s Ramadan program. 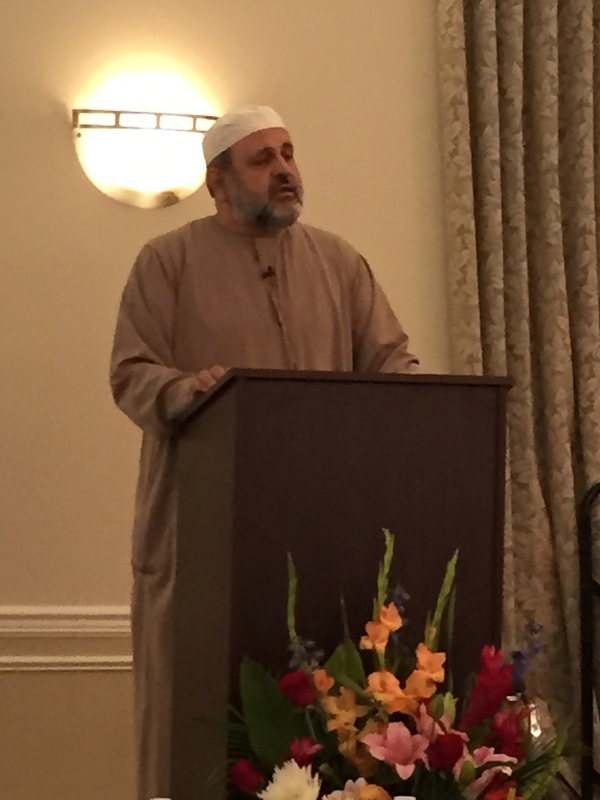 Alhamdulillah, the April 18, 2015 Benefit Dinner was a great success. We want to take this opportunity to offer heartfelt thanks to everyone who attended the event and contributed to its success. We also want thank those who planned to be with us, but circumstances did not allow them to be present at the event. Special thanks to the guest speakers; Shekh Alaeddin El-Bakri, Sheikh Syed Rashid, Sheikh Omar Jubran, Sheikh Abou Omar, and Sheriff Abdeen whose speeches were very inspirational and highly appreciated by all in attendance. Inshaallalah, we look for the continued support from all members of the local community as well as from Muslims all over the world. We certainly need everyone’s help to be able to complete all Masjid construction projects. Construction of six bathrooms (three for men and three for women) along with Wudu areas. Converting the existing bathroom into an office. Installing carpeting throughout prayer area. Modification of the Masjid’s frontage. Complying with all ADA requirements. Connect into the sewer system and abandon the existing septic system. 54 parking spaces including spaces for handicap parking. 8670 sq. ft. of landscaping. Parking lot and exterior site lighting system consisting of 16 stations. 26’ wide X 46’ long main entrance driveway. 200 feet of 6-foot high masonry wall along the Eastern boundary of the property. 200 feet of 6-foot high wrought iron fence along the front of the property. 26 foot sliding gate (electrically-operated) for the main entrance. 5-foot gate for pedestrians to access the Masjid from the sidewalk. 4-foot gate for pedestrians to access the parking lot. A 35-foot minaret will be constructed in the area designated as a 1550 sq. ft. landscaped section just south of the prayer hall. The existing steel structures will be converted into a 2500 sq. ft. multipurpose hall. We are currently in the process of obtaining the building permits to start undertaking the first phase of the development. The completion of Phase I first two projects is expected by the second quarter of 2015. While we expect to complete Phase I projects 3, 4 and 5 by the 1st quarter of 2016, it is estimated that the cost of Phase I five projects will be about $300,000. We currently have $130,000 of available funds and are in need of $170,000 of additional funds to complete Phase I. As for Phase II, insha’allah, we hope to begin undertaking its two projects as soon as we complete the required Phase I projects. We estimate the two projects will cost $320,000 (in today’s dollars). We ask for your help to insure that we accomplish our ambitious goals in a timely basis. You can make your tax-deductible donations either using a credit or a debit card, or by sending your check, or money order to the Center’s address: 18027 Sierra Highway, Canyon Country, CA 91351. The Shura council has announced the first day of Ramadan to be Saturday, June 28. al-Ummah Center will have the first taraweeh salat on Friday, June 27 after Isha at 9:45 pm. We ask Allah subhanah wataala to spread his blessing through out our community. Insha’allah, during the month of Ramadan, we will be holding Iftar dinners every night, sponsored by members of the community. There are still several dates left, so if you are interested in sponsoring a night please contact us. After Iftar we will gather for Quran reading until Isha. Nightly taraweeh prayers will be led by our esteemed guest Sheikh visiting from Egypt. We will also have a brief lecture after the first four rakaas. 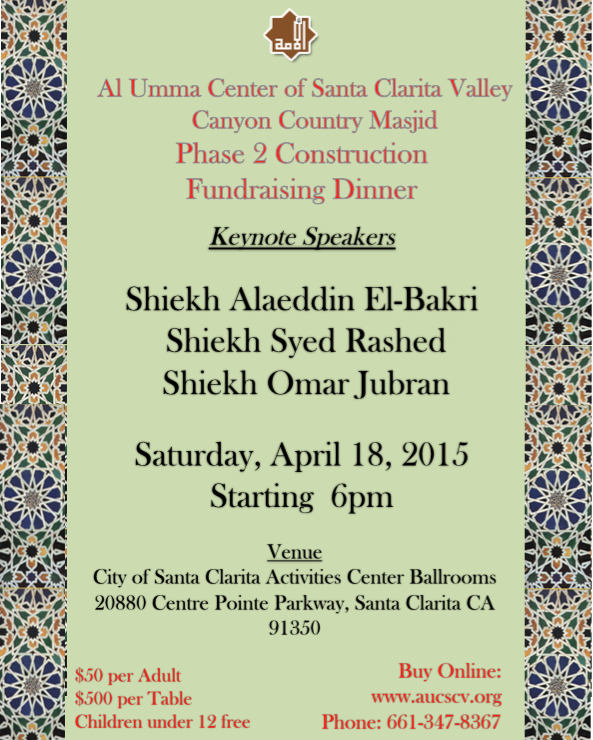 Al-Umma Center of Santa Clarita Valley’s Founding members and Board of Directors would like to thank you for your continued support with the Canyon Country Masjid project and cordially invite you and your families to an evening amongst friends, food and prayers. We are very blessed to have three Muslim scholars share the evening with us: Shaikh Omar Jubran, Dr. Omran Abdeen, and Shaikh Jalal. Please plan to join us with your family for this joyous event! Alhamdulillah. 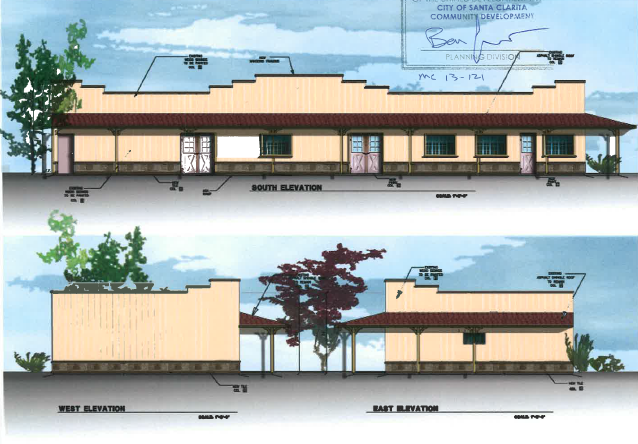 Al-Umma Center of Santa Clarita Valley (AUCSCV) Board of Directors is happy to announce the fulfillment of the much-anticipated establishment of an Islamic Center in Canyon Country! 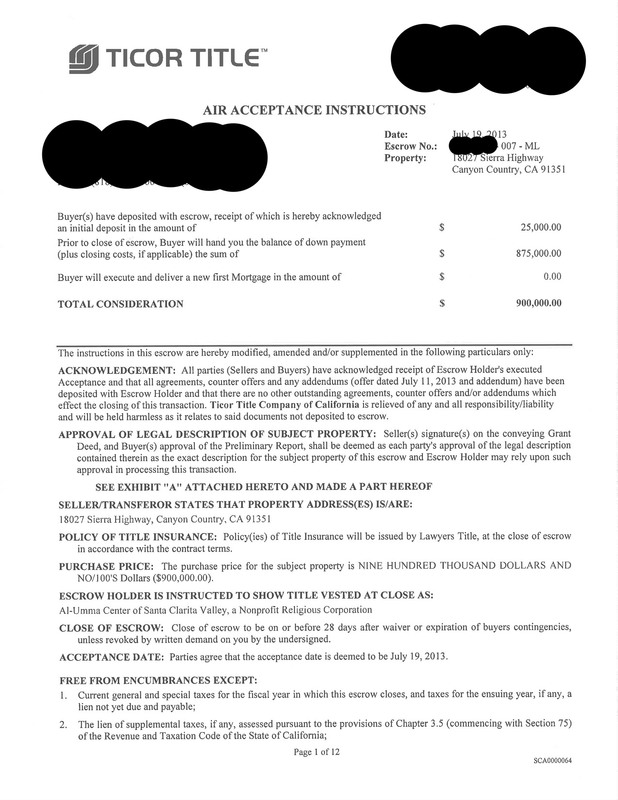 Today, On July 19, 2013, by Allah SWT’s will and grace and at the beginning of the blessed month of Ramadan, Al-Umma Center of Santa Clarita Valley (AUCSCV) opened escrow to acquire a building situated on approximately one acre centrally located in Canyon Country at 18027 Sierra Hwy at a cost of $900,000. Inshallah, we expect to close escrow on August 31, 2013. 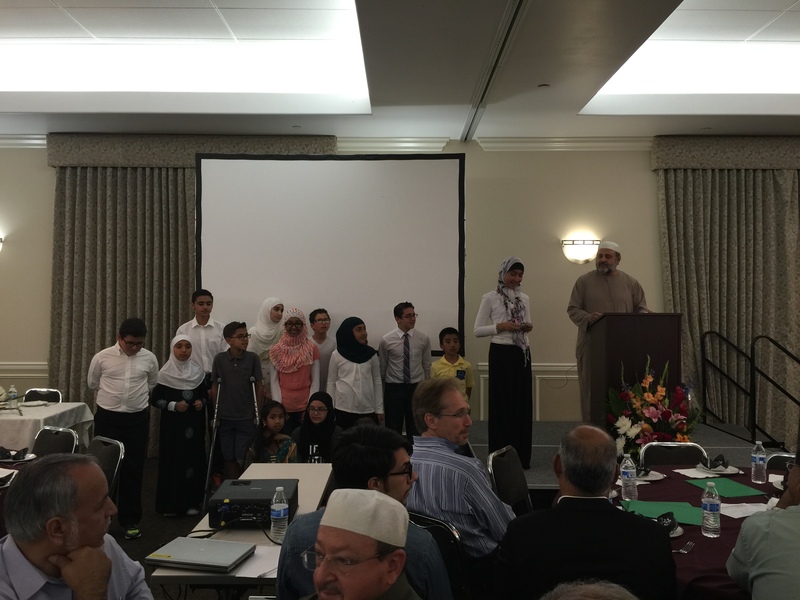 This project was driven by the community’s vision and generous support in the form of pledges and donations totaling approximately $120,000, which were made by the Muslim families in Santa Clarita, their extended families and friends throughout the nation. In order to close escrow and undertake needed improvements on the building, we need to raise a minimum of $190,000 of additional funds. $250,000 of the collected funds will go towards the down payment, and $60,000 will go towards permits, construction and improvement costs. We have been blessed to secure Islamic-compliant financing for the remaining needed funds of $650,000 which must be raised in the next few years. 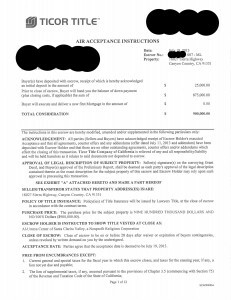 Six months ago the community began this journey towards a permanent Masjid in Canyon Country and promised to work diligently to identify, negotiate and open escrow for a property. Al-Umma Center also promised the community that no pledges will be collected until escrow is opened. Now is the time for the community members to fulfill their pledges and contact family and friends to inspire them to donate to this worthy cause during this holy month of Ramadan. Furthermore, Al-Umma Center ensures that all donations are used for the sole purpose you have intended them for, and if the escrow process is not concluded successfully, 100 % of your paid donations will be promptly refunded to you. The example of those who spend their wealth in the way of Allah is like a seed [of grain] which grows seven spikes; in each spike is a hundred grains. And Allah multiplies [His reward] for whom He wills. And Allah is all-Encompassing and Knowing.